…what do you do? Whether it was a friend from 2nd grade, a boyfriend, or family member, we can all remember of a time that we hurt someone. If you were lucky, they forgave you. If not, you may still be seeking forgiveness. I’ve really struggled with this question over the years. It is upsetting when you do everything you can to mAke iT riGhT—apologizes, phone calls, a kind demeanor, or even space away from you—to result in nothing more than a cold shoulder years later. This is frustrating and can often tempt you to be angry at the person. It’s this vicious cycle of you wanting forgiveness, them staying resentful, and then you being mad at them for still holding a grudge! There comes a time when YOU just have to LeT Go. Let Go of the fact that they may never forgive you. If you have exhausted all options, you have done the best that you can. You can’t live the rest of your life in misery because of something you’ve already tried to fix. When you see them, continue to be friendly but don’t put your life on hold because you may never get the answer you are wanting. And if you are the one that is still holding a grudge…re-read this post and put yourself in their shoes. 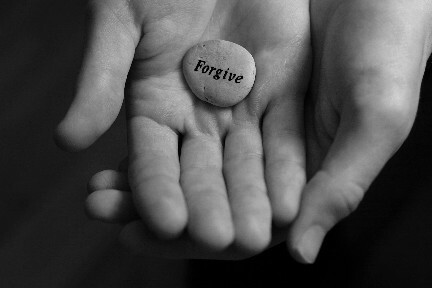 Realize how much you are missing out simply because you won’t give one of the biggest gifts you can give…FORGIVENESS. I first heard this song at a HiGh ScHoOl GrAdUaTiOn sung by a group of SeNiOrS. What made this song so PoiGnAnT and left an ImPrEsSiOn was the fact that they had experienced, first hand, how short life can be. One of their classmates had died the previous year of cancer. They dedicated this song to her. Thanks for the lesson Humboldt High School Class Of 2005.